Bitcoin Press Release: In today’s digital-first age, individuals who work in the creative profession would have been approached at one point or another to work on creative content for free, now LikeCoin, a blockchain protocol for independent content creators, which provides a mechanism for creators worldwide to be rewarded for their original or derivative works. Hong Kong, 17 April, 2018: LikeCoin, a blockchain protocol for independent content creators, which provides a mechanism for creators worldwide to be rewarded for their original or derivative works, spread the word about their mission to empower creative collaborations at the Creative Commons Global Summit 2018, an event where an international community of leading technologists, legal experts, academics, activists, and community members gathered together who work to promote the power of open worldwide. In today’s digital-first age, individuals who work in the creative profession would have been approached at one point or another to work on creative content for free, or to have their content published on social media and merely “rewarded” by Likes. LikeCoin’s vision is to maximise creativity by coupling practical recognition and Creative Commons. LikeCoin creates unique fingerprints for all creative contents and traces footprints of all derivative works along with creators and distributors of the content. Powered by a global, decentralised and resilient IPFS-based technology, LikeCoin’s reinvented Like Button and LikeRank algorithm will enable attribution and collaboration of content across multiple platforms and applications, allowing content creators and adopters to curate contents and record the data on blockchain for other distributors to use. LikeCoin’s early supporters To Cheung, Founder and CEO of UDOMAIN. The LikeCoin ecosystem will support creative content in many formats including photos, illustrations, videos and articles. Original content may be distributed by content distributors directly or modified, forming derivative work which can be adopted for use by content adopters. At the same time, LikeCoin’s unique Proof of Creativity mechanism and blockchain Smart Contract are proven to incentivise creators and will help drive broad adoption by distribution platforms and service providers in the ecosystem. Early adopters of LikeCoin include the prominent digital media outlets Famitsu, covering latest news and information in anime, comic and games. As well as Stand News, which is known for their editorial independence, integrity and high journalistic standards. Kit Man, an established multimedia designer from Hong Kong. To date, LikeCoin has successfully raised over 3 million dollars USD in private sale. In the 12 months since the project’s inception, over 1,000 creators have already signed up with LikeCoin’s creative network in markets across Hong Kong, Taiwan, Japan and others. 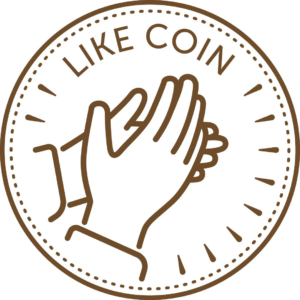 LikeCoin aims to reinvent the “Like” by realigning creativity and reward. LikeCoin enables attribution and cross-application collaboration on creative contents. With a reinvented Like button and its unique LikeRank algorithm, LikeCoin traces content footprint and reward creators by Proof of Creativity mechanism. Rebecca Lo is the source of this content. Virtual currency is not legal tender, is not backed by the government, and accounts and value balances are not subject to consumer protections. Cryptocurrencies and tokens are extremely volatile. There is no guarantee of a stable value, or of any value at all. Token sales are only suitable for individuals with a high risk tolerance. Only participate in a token event with what you can afford to lose. This press release is for informational purposes only. The post Reinventing the ‘Like’: LikeCoin Shines at Creative Commons Summit Proudly Empowering Creators Worldwide appeared first on Bitcoin PR Buzz.